Dilemma: you like laptop keyboards, but people keep harping on about how great mechanical keyboards are. Solution: Havit’s HV-KB390L keyboard. It uses special low profile switches, low profile keys and a low-profile chassis to make for an incredibly compact keyboard in all three dimensions. Is this the ultimate low profile mechanical keyboard? Let’s find out! The Havit low profile keyboard is actually quite remarkable in its design. 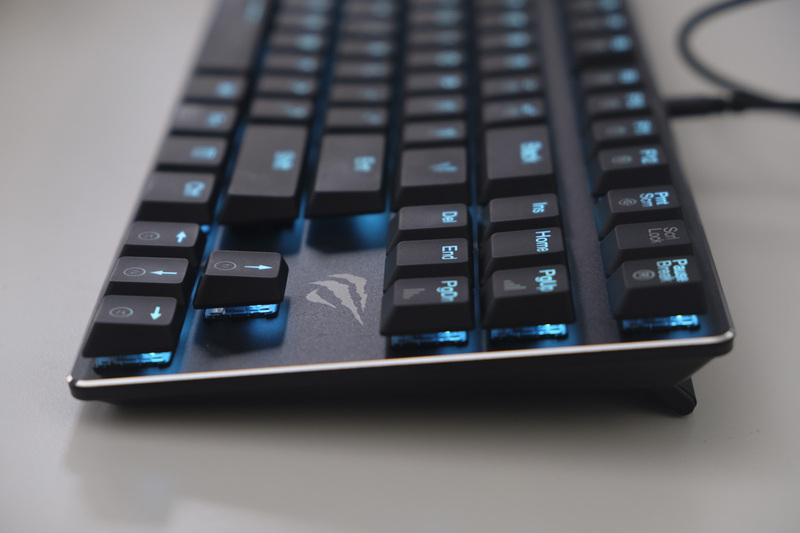 The extreme thinness of the keyboard is achieved through the use of very short keycaps and a shorter switch with less travel distance than a standard mech. This allows the chassis of the keyboard to be quite thin too, measuring just 22.5 millimetres in total. The keyboard uses a modern “floating” design, with the keys suspended above an aluminium alloy facade with a thin and shiny bevelled perimeter. 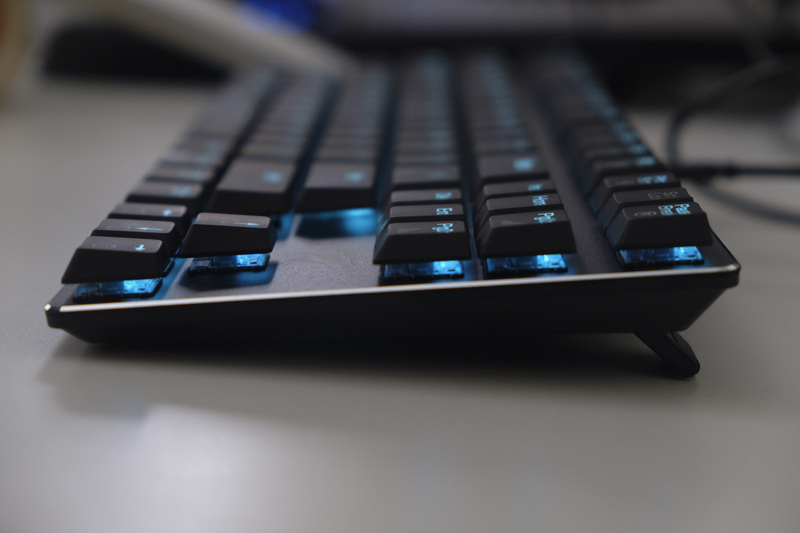 The black ABS keycaps combine well with the ice blue LED backlight, producing an eye-catching look that’s more refined than the typically garish “gamer” designs with red, blue or green backlit designs. The keyboard adopts a standard tenkeyless US ANSI layout, with no number pad. This 87-key layout is compact, without requiring you to relearn the position of keys, making this a good choice for a first mechanical keyboard. The bottom of the keyboard is standard black plastic, with some low-profile feet and flip-out feet that provide a higher angle. Given how short this keyboard is, you may need to use the feet even if you wouldn’t normally. We would usually expect to see volume and media controls on a keyboard like this, but instead we have a large variety of backlighting controls, accessible via a Function key in the lower right. There are six preset lighting modes on F6 to F11, and five customisable modes from F1 to F5. The brightness of the backlight can also be adjusted, although on its brightest setting it was a little too dim to see easily in bright rooms. Here’s a video made by RatratanX on YouTube showing the various modes on offer. You can visit havit.hk/downloads to get Windows drivers for the Havit keyboard. This adds some helpful new features, including disabling the Windows key, making macros, enabling game mode and more. Macro editing is fairly comprehensive, with the ability to record with or without a delay, edit delays, loop a certain number of times and so on. As well as binding macros to certain keys, you can also rebind keys to single or multiple keys — for example, you could bind spacebar to c + spacebar to jump through windows perfectly each time in PlayerUnknown’s Battlegrounds. You can also bind keys to play sounds, launch programs or perform common Windows functions. 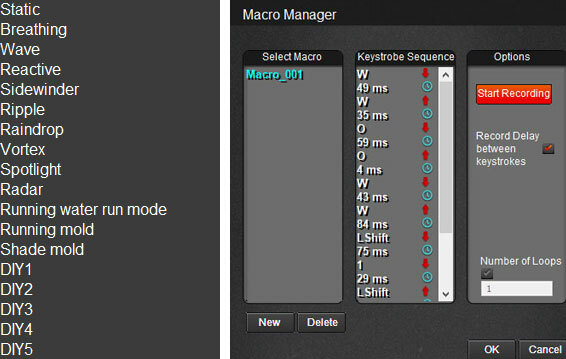 Below, you can see the different lighting modes on the left, and the macro manager on the right. 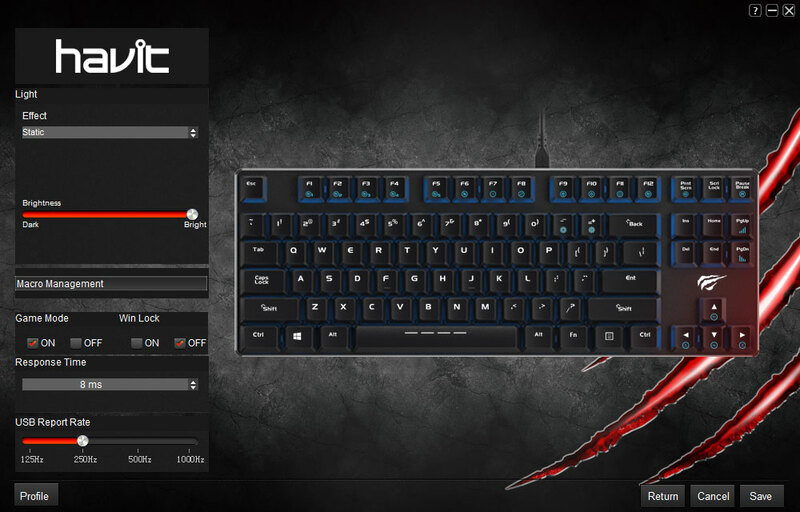 Finally, you can adjust the keyboard’s response rate from 2 to 20ms, and change the USB report rate from 125 to 1000Hz. USB report rate makes sense, but response rate is kind of a head-scratcher — is there any reason that you’d not want it on the fastest it can go, assuming it doesn’t cause any problems? If it does cause problems, would they ever be worth the lower response rate? In total, the simple software is easy to install and seems to offer all of the options you’d want to have. 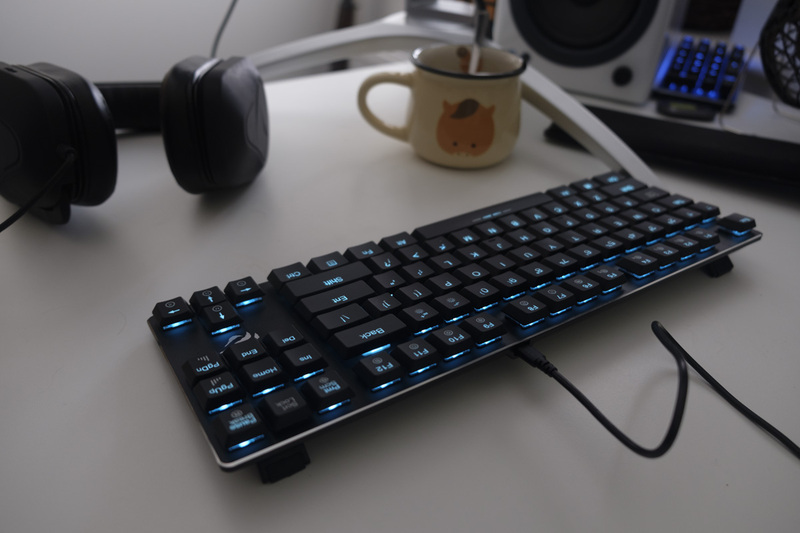 We used the HV-KB390L for a one-week period, writing articles like this one and playing games (mostly Counter-Strike, as well as PUBG, Divinity 2 and Pillars of Eternity). When it comes to typing, I was pleasantly surprised with the HV-KB390L. It feels every bit as clicky and interesting as a standard mechanical keyboard with MX Blue keys, but the lighter weighting and lower travel distance of the switches made this keyboard feel quite unique. The standardised layout and cool blue backlight were also appreciated, ensuring easy access to even the less-used keys in dark areas. If you prefer scissor switch keyboards, like those on laptops or Apple’s Magic Keyboard, then this is a really nice mechanical alternative. Gaming was similarly blissful, although I did experience a few issues. I did notice that sometimes keys were pressed twice when I only meant to press them once. Specifically, there’s a ‘quick-switch’ button in Counter-Strike that switches between your last two used weapons, and I found that sometimes that I’d press the button and go back to the same weapon I had in-hand before. It didn’t happen often, but it was something I noticed on the HV-KB390L that I haven’t experienced on other keyboards before. I didn’t encounter the same issue in other games, so this shouldn’t be a massive deal-breaker for gamers. The lower weighting of these keys mean that it is possible to press them with speed and accuracy, and the loud click and tactile response means that you always know when a key has been pressed. 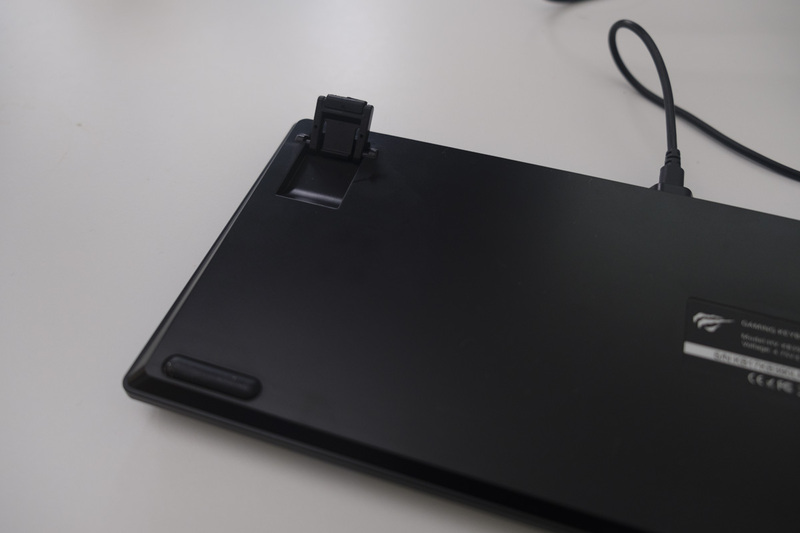 That’s great for games where single key presses are quite important, like RTS games, although MOBA or FPS players might prefer a tactile or linear switch instead to make double-tapping keys a bit easier. The HV-KB390L is a wonderful low-profile keyboard with clicky mechanical switches. 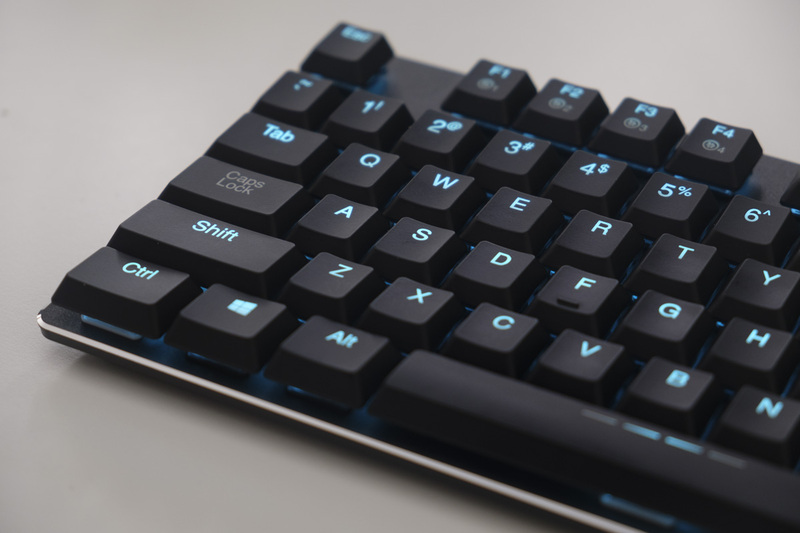 These switches provide a noticeable upgrade over traditional scissor switch low-profile keyboards, while preserving the feel that so many people are accustomed to. 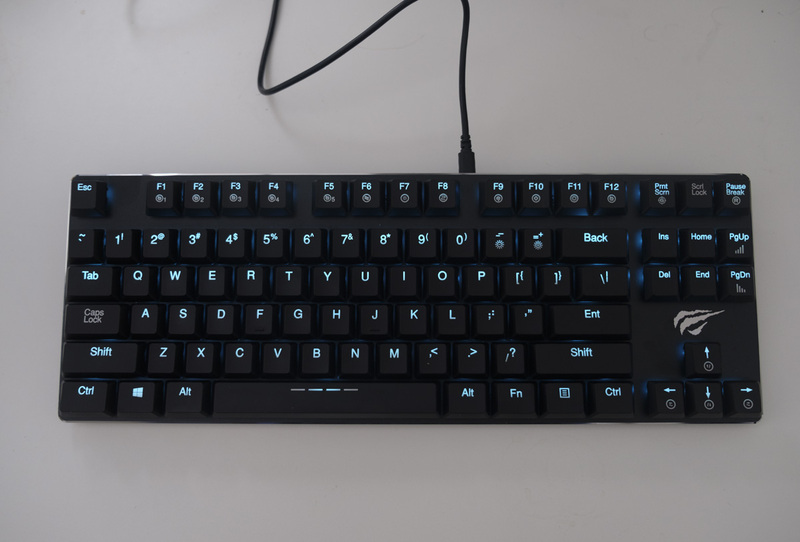 I have no qualms about wholly recommending this keyboard to typists and gamers alike — give it a go and let me know what you think! For Havit, I have only two requests. First, I’d love to see this design with some different low-profile switches — a tactile (Brown-style) or linear (Red-style) switch would make this keyboard a better choice for many gamers. Secondly, a keyboard this good deserves a name I can actually say out loud — HV-KB390L is a model designation, not a proper brand that can spread through word of mouth. Give this model a proper name and I’ll be super happy.